Business card holder with two tone satin and silver finish. 3 5/8" W x 2 1/2" H. Engraved with Certified Public Accountant in silver. Buy a Gift Bundle Package & Save 10%. 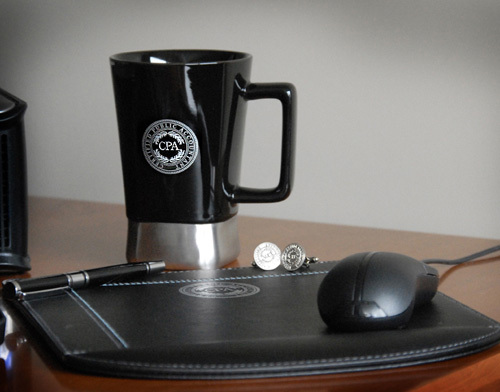 Package includes one Ceramic Desk Mug, Leather Mousepad, Rollerball Pen, Gold or Silver Tone Cuff Links.